Imagine to be delighted by the spectacular Scala Contarini del Bovolo. This is just one of the many Venice’s views that will leave you breathless. 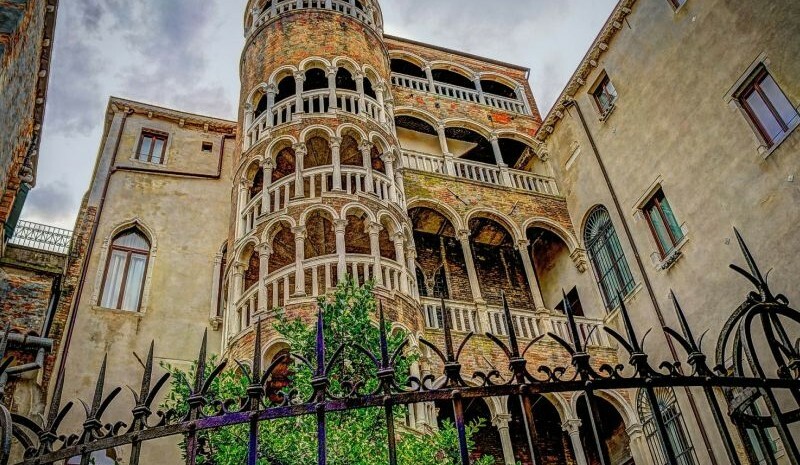 Enjoy the elegance and majesty of this historic construction which contributes to build up the magic of Venice! During your gateaway in Venice you shouldn’t miss all those hidden places inside the venetian calli thanks to you could be able to live a different experience from those following “standard” and touristic paths. The Scala Contarini del Bovolo (or Scala Contarini del Bovolo), built in the late fifteenth century, is not the classical tourist attraction, so let yourself be absorbed by the desire to discover what lies just in the end of a narrow street close to a small square, and, moreover, no more than 10 minutes walking from Residenza Goldoni. 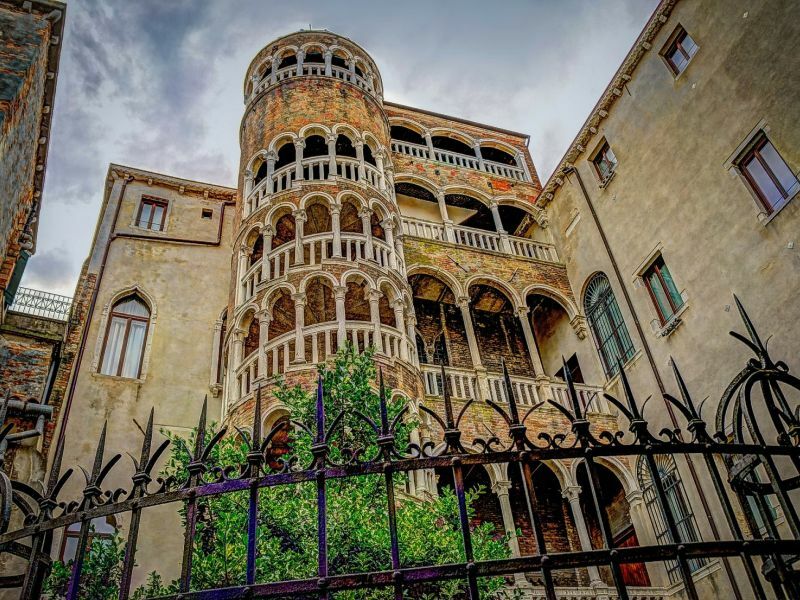 This Venice pearl is indeed located in a small courtyard near Campo Manin and represents an example of Venetian architecture from the Gothic to the Renaissance: all its levels are marked by round arches on columns reflected in the arcades and its unusual shape of a cylindrical tower with a spiral pattern gives to this building the strange name “bovolo”, upcoming from the Venetian dialect. The purpose of the architect, probably Giovanni Candì, was to build it with the aim to increase the beauty of the attached Palace of Pietro Contarini at the end of the fifteenth century: it succeed! Once you arrive to the top of the Scala Contarini del Bovolo (only when it’s possible to visit it from inside), the forthcoming view will please your eyes: You could enjoy and appreciate the splendour of this unique city from a different prospective, a view that spreads between the domes of San Marco, the bell towers and many among the amazing venetian roofs.